Orangutan Outreach founder Richard Zimmerman says has iPads have already been donated to zoos in Milwaukee, Atlanta and Florida. 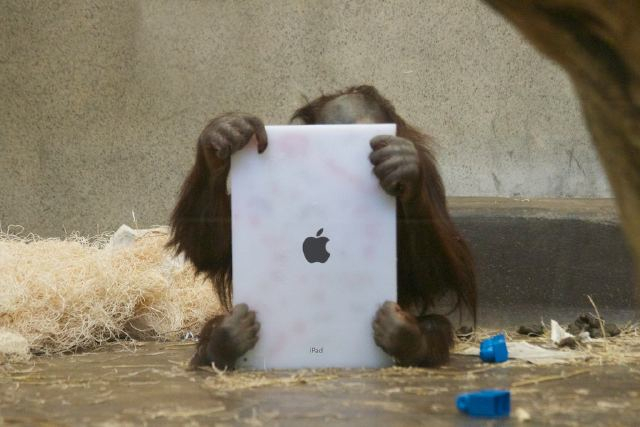 A board member of the Houston Zoo also recently donated an iPad. More of the tablets will soon be sent to the Memphis Zoo, the Center for Great Apes in Florida and to the Toronto Zoo. Orangutans are considered to be amongst the most intelligent of primates, making them a good case study for the interactive technology. If you'd like to make a direct donation to Orangutan Outreach, you can do so here.